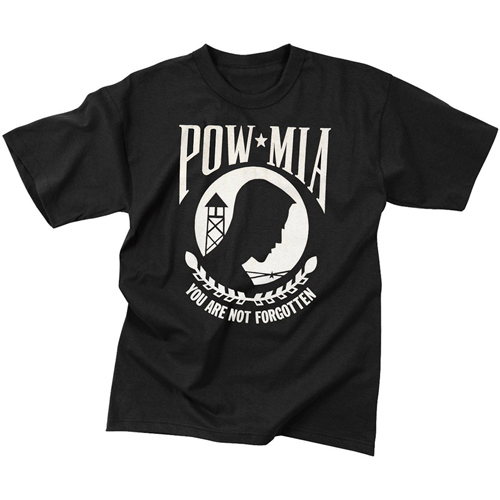 Black POWMIA T Shirt is a smart an elegant wear with a nice smart logo printed on the front. The T-shirt is a 50-50 cotton and polyester mix fabric and comes in an elegant black color. It has a prisoner of war missing in action logo printed on front of the T-shirt, which gives the T-shirt a very smart look. The quality of the T-shirt is great and the fabric is very durable. These t-shirts are dedicated to the brave soldiers of the wars.